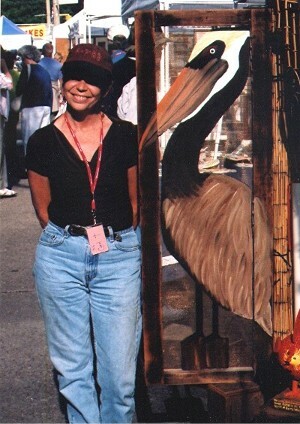 Carol is a self-taught, primitive artist from Baton Rouge, Louisiana. Inspired by the rich culture of the South, she strives to keep the channel of intrinsic creativity open, and to explore the places this channel leads. In the spirit of the folk art movement, her art is from her heart and expresses her interests in spirituality, love, life, religion, and just plain fun! 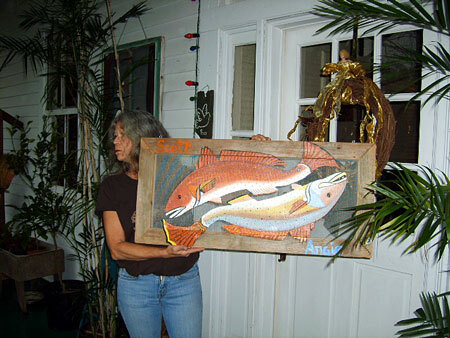 She is a juried exhibitor at many shows and festivals and is on the Board of Directors of the Louisiana Crafts Guild. For me, Folk Art is true freedom. It allows me to experiment – to let imagination work with inspiration and to let my heart guide me on the path. As a self-taught artist, much of my work is "outside the box", since I never knew where the box was. It is my goal to develop my own artistic vision, without concern for the labels and classifications imposed by others. In the words of Carlos Castaneda, . . ."For me, there is only the traveling on paths that may have heart. There I travel, and the only worthwhile challenge is to traverse its full length. And there I travel - looking, looking - breathlessly."